To conduct research, provide postgraduate education and transfer of the technology in all areas of animal sciences with emphasis on animal health and production. 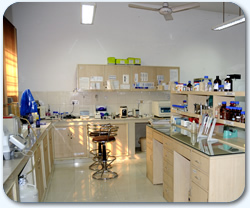 To act as national referral centre for veterinary type cultures, disease diagnosis, biologicals, immunodiagnostics, etc. Self-reliance in cutting–edge and frontier technologies in research and human resource development. 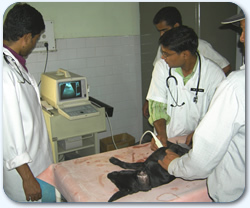 Development of quick and precise methodologies including kits for diagnosis of diseases/ conditions, package of practices for optimum animal health. 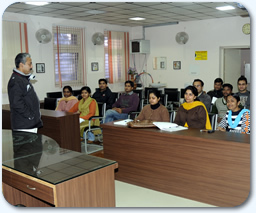 Surveillance, creation of data bank and forecasting system of animal diseases. IVRI Products Improvement of immunoprophylactics, use of biotechnological tools in evolving vaccines for important diseases of livestock and poultry. Pet animal health and disease management. Disaster management for livestock through multidisciplinary approach. Genetic studies on disease resistance in domestic species of livestock. Monitoring and surveillance of drugs, pesticides, mycotoxins and microbial residues in livestock and livestock products. Pharmacological evaluation of herbs/plant products and promotion of ethno-veterinary medicine. Harnessing techniques for in vitro fertilization, cloning of embryos and research on transgenic animals and stem cells. IVRI Products Development of economic diets and nutrition for health and wellbeing of farm animals and pets. Processing and preservation of meat and development of value-added meat products. Farming systems based research and extension activities for livestock-buffalo, cattle, goat, sheep and pigs. Evaluation, refinement and transfer of technologies.